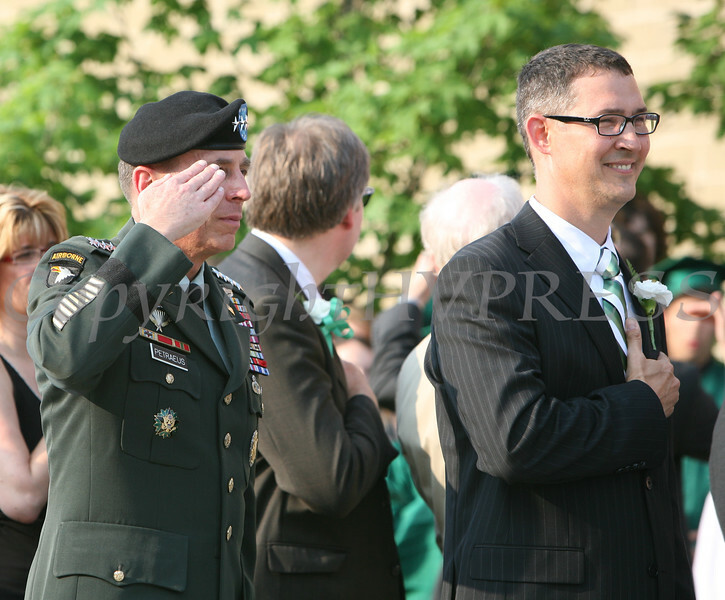 General David H. Petraeus and Conrwall High School Prinicipal Dr. Frank Sheboy render a salute during the National Anthem at the strart of Cornwall High School's 56th Annual Commencement on Friday, June 25, 2010 in Cornwall, NY. General David H. Petraeus gave the keynote address. Hudson Valley Press/CHUCK STEWART, JR.